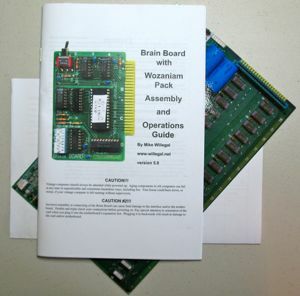 Mike Willegal recently announced the new Brain Board with Wozanium Pack, and I bought one even though I don’t yet own a compatible Apple II, II+, or IIe. It’s always exciting to see new products, whether hardware, software, podcasts, websites, or projects, for the Apple II. 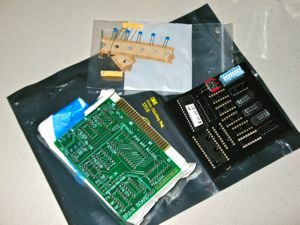 The Brain Board allows you to replace the firmware, normally found in ROM chips on the motherboard, with different firmware. Early Apple II and II+ computers used functionality like this to switch between Integer and Applesoft BASIC. Mike has cleverly coupled the “swap out the firmware brains of my Apple II” function with his custom “Wozanium Pack” firmware that replicates the functions of an Apple I! I haven’t built the board yet, but I’m initially impressed with the quality of the kit and detailed manual.